Hip muscle activation and knee frontal plane motion during weight bearing therapeutic exercises. Lubahn AJ, Kernozek TW, Tyson TL, Merkitch KW, Reutemann P, Chestnut JM. Int J Sports Phys Ther. 2011 Jun;6(2):92-103. As the kinetic chain concept has taken hold throughout the sports medicine community, it has become more and more important for the clinician to understand how to treat not only the injury itself, but accurately treat and identify discrepancies of the entire kinetic chain. Weakness of the hip musculature has been a common finding among athletes with knee injuries. Therefore, research identifying the most effective exercises to activate the hip musculature is of critical importance. The purpose of this study was 2-fold. First, to determine which of 3 exercises (double-leg squat, single-leg squat, front step-up) most effectively activated the hip musculature and allowed maintenance of a neutral frontal plane knee alignment. Second, to determine what effect a medial pull applied to the knees would have on gluteus maximus and gluteus medius activation, while attempting to maintain neutral frontal plane knee alignment. In this study, 18 healthy females participated (18 to 26 year old). For the double-leg squat a green theraband was placed around both knees, while a load of 15% body weight was applied in a medial direction to the knee via a cable column machine for the single-leg squat and front step-up. Hip muscle activation during the trial was measured with surface EMG. Frontal plane knee alignment was measured with high speed cameras. Data was collected from each participant’s dominant leg, which was defined as the leg that they used to kick a soccer ball. Each participant executed five repetitions of each exercise in the weighted and un-weighted conditions while keeping pace with a motronome set at 40 beats/minute. Each repetition lasted a total of 3 seconds. The participants were allowed to rest 10 to 15 seconds between reps and 45 to 60 seconds between each exercise. For the single-leg squat and front step-up exercises the subjects were allowed to use a vertical pole to maintain their balance. The results of this study show that the single-leg squat, regardless of condition, elicited the highest muscle activation for both the gluteus maximus (47.4% maximum voluntary isometric contraction [MVIC]) and gluteus medius (65.6% MVIC). A previous study (Andersen, 2006) has stated that muscles must reach 40 to 60% of maximal effort in order for adaptive strength changes to be reached. The single-leg squat clearly reaches that, but the double-leg squat and front step-up fall short. With that being said, the authors don't rule out continuing to utilize the double-leg squat and front step-up in rehabilitative efforts. They suggest using these exercises to train the gluteal muscles for endurance. By utilizing these exercises in this manner, the patient should be able to limit the amount of excessive internal rotation that occurs at the hip while running, which can lead to patello-femoral pain syndrome. Adding a medial pull to the double leg squat exercise did increase the amount of muscle activation by 6% MVIC, but it did not increase with the single-leg squat exercise. A muscle activation decrease of 11.9% MVIC was seen in the gluteus medius during the loaded single-leg squat trial. Although, there was a pronounced decrease in muscle activation comparing the unloaded to the loaded gluteus medius trial, the muscle activation during the loaded condition was still better than the front step-up and double leg squat by 8% and 30% MVIC, respectively. The authors believe that the load applied might have been too great and that postural compensations occurring during the exercises could possibly account for this decrease in muscle activation. This study also demonstrated that there is a significant increase knee abduction angle during each exercise whether there is medially directed load or not. This is important to note because the gluteal muscles help maintain proper frontal plane knee alignment which has been linked to ACL injuries, patello-femoral pain syndrome and iliotibal band syndrome. This study is clinically important for several reasons. First it clearly shows that of the 3 exercises the single-leg squat is the most effective exercise for recruiting the gluteus maximus and medius. By virtue of having increased muscle activity, as well as an increased knee abduction angle to work against, it is conceivable that the individual might be able to improve their knee mechanics during athletic activity and thus prevent future knee injuries. Once the exercises that best activate the hip musculature have been identified, the clinician can then institute them into training programs that focus on preventing knee injuries that result from overuse, deceleration and cutting. Are you addressing the hip in your injury prevention programs and if so, what types of outcomes are you seeing? What has and hasn't worked for you? I was interested to read the effects on the frontal plane motion with this article. However, in terms of the medal direction pull, two different weight resistances were used between the three exercises (resistive theraband and cable weight). The resistance of the theraband is dependent on positioning stance during double leg squat that leads to variability with resistance during exercise. In the single-leg tasks a cable machine with 15% body weight was applied. As stated in the conclusion, this weight could have been too great of a demand for the activity. As a result, do we really gain any additional information from this focus of the study, or do additional studies looking at reduced amounts of resistance to medial direction pull need to be conducted for a better understanding of their effect? In terms of activation of the gluteal muscles, this study concludes that the single leg squat is the best exercise for gluteus medius activation. However, research has shown that the front step up exercise (Ayotte 2007) as well as other therapeutic exercises are effective with gluteus medius strengthening. (Bolgla and Uhl 2005, Ekstrom 2007, DiStefano 2009, Krause 2009) Just because the single leg squat requires the most activation in the closed chain position does not mean additional exercises should be disregarded from an exercise program. A pole may assist with stabilization, but can also be used during exercise thus requiring less demand on the gluteus medius with additional involvement of the upper body or forward trunk lean. If this were true during rehabilitation, then therapeutic exercises with lower activation levels may be more appropriate than the single leg squat. A previous study also stated that a greater challenge to maintain postural control with a step up task compared to a step forward might exist. (Sims and Brauer 2000). Earlier activation during the step up and an increase in the magnitude of the gluteus medius were found during the step up task in a group of healthy individuals. Although a small sample size, their findings conclude that the gluteus medius may play a role in medial lateral stability and should be an area of further research especially those with balance deficits or hip pathology. Mark, thanks for reading and commenting again. I believe that any clinician reading this post is not about to forsake the myriad of hip exercises that we utilize for the single-leg squat, nor was that the intent. The single-leg squat, much like static vs dynamic stretching (which has been covered here a few times at SMR) should be utilized under the proper conditions. It is up to the clinician to know their patient, where they stand in the recovery process and when to implement the exercises appropriately. In regards to the resistance used, I'd venture to guess that the authors would liked to have taken a mulligan on the weight used in order to be able to do a more thorough comparison. As it stands, their data, while contradictory to those other studies that you site, is what they had to go with. This conversation illustrates the beauty of SMR, an article with contradictory data and even faulty study design can be discussed and everybody in the conversation can be guided to other studies that can help us improve our clinical abilities. Now ilet's all channel our inner Charlie Sheen, "WINNING!!!!" Thanks agian, Mark. Great insight and input. I agree with your comments about the utilization of the SLS by the authors and I believe that the original focus of this paper was the effect of the medial direction pull during the exercises. Just because the authors' information did not provide any concrete information on this topic, I do believe their study opens the door for additional studies to be developed with medial-lateral stability. I sense that this area will be researched in more detail during the upcoming years as more and more people focus on medial-lateral relationships in general. The SLS is a great exercise and I believe that like any therapeutic exercise is beneficial when used appropriately, but can have adverse effects if used improperly. The biggest consideration I discuss with people when utilizing the SLS in rehabilitation or strength programs is what the main outcome of the exercise will be. Are we trying to produce the most muscle activation from the gluteus medius with exercise, or are we trying to obtain the greatest muscle activation during the greatest range of motion? In my experience, I have found that younger professionals might think more about the overall strengthening, but might forget the tradeoff they will lose in controlled movement over a greater range of motion. Mark, all great points and definitely items to consider throughout the exercise prescription/selection process. Your comments and mine I think are similarly aligned in the sense that the clinician must know what the goal is for not only the athlete but for the exercises as well. Haphazardly prescribing exercises may provide short term positive responses, but as the patient progresses, the clinician might be creating more problems later on in the process. Thanks, for reading and commenting. 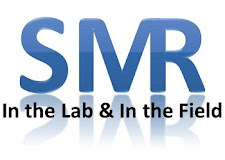 Please be sure to pass along SMR to all of your friends through Facebook, Twitter, Google+ and Linkedin.